This section I think is interesting for professionals and amateurs in the field of audio and video production. 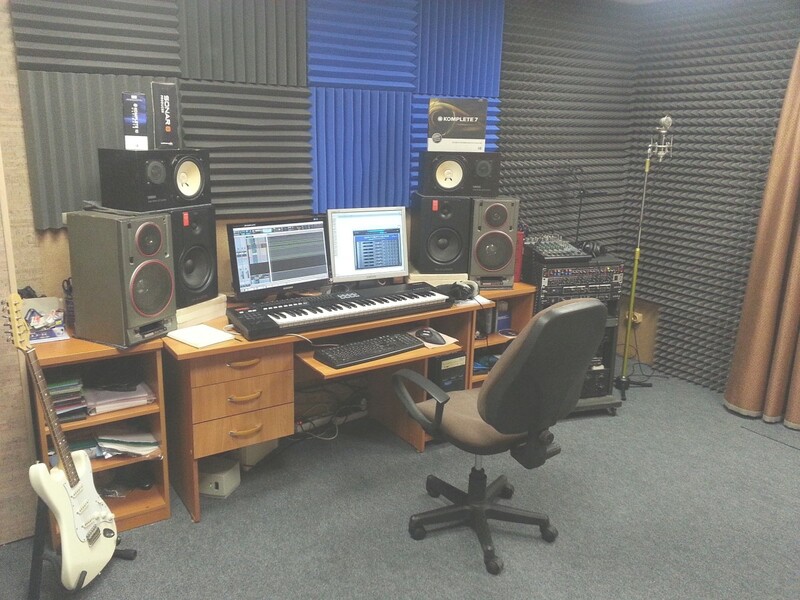 In it, I’ll introduce you my home studio, with its hardware and software. First I want to point out the following: I have a very negative attitude towards piracy, despite the fact that Russia is still very pirated, all software and sample library in my studio was purchased from manufacturers and official sellers, all the software is licensed. Friends let’s be honest with yourself and others! Especially because now practically all the software can be purchased via the Internet in downloadable versions without boxes and deliveries and prices are not that great today. Main: Blue KiWi, Blue Baby Bottle – 2 pcs. Shure Beta 58, Shure SM 57, Shure Beta 57A, Shure Beta 52, Sennheiser E604, Beyerdynamic OPUS 83, AKG D112, Shure SM81 , AKG D3800M. For a long time the main microphone in my studio was a Shure Beta 58 ( not SM). With this mic was recorded a lot of tracks. A very versatile microphone. Strongly recommend for budget studios ! Electric guitar: Fender Stratocaster. Made in Japan. Acoustic guitar: Samick Greg Bennett Design. Main: Yamaha NS-10 M studio monitors + Ashly SRA-120 studio amplifier. Headphones: Blue Microphones Lola, Sennheiser HD 650, Sennheiser HD 280 Pro, AKG K240 MKII , Sony MDR-7506. The program I am satisfied at 100%, in terms of price / performance leading the world.